Motown the Musical extends booking until October 2017! 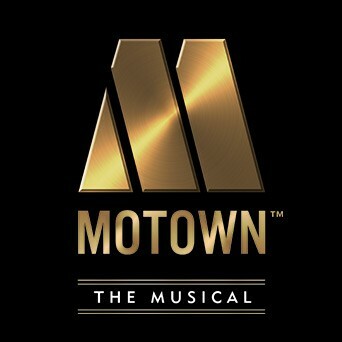 The West End production of Motown the Musical today (20 May 2016) releases over 350,000 tickets for sale with the show now booking at the Shaftesbury Theatre to 28 October 2017. With music and lyrics from the legendary Motown catalogue and book by Motown founder Berry Gordy, Motown the Musical also announces that Obioma Ugoala will join the cast in the role of Smokey Robinson from 4 July 2016. Obioma Ugoala (Smokey Robinson) joins Cedric Neal as Berry Gordy, Lucy St. Louis as Diana Ross and Sifiso Mazibuko as Marvin Gaye, who lead the cast of Motown the Musical. They are joined by Keisha Amponsa Banson as Mary Wells, Cindy Belliot as Anna Gordy, Samuel Edwards as Jackie Wilson, Tanya Nicole Edwards as Florence Ballard, Portia Harry as Teena Marie, Aisha Jawando as Martha Reeves, Joshua Liburd as Eddie Kendricks, Simeon Montague as Jermaine Jackson, Cleopatra Rey as Gladys Knight, Brandon Lee Sears as Tito Jackson, Jordan Shaw as Stevie Wonder and Cherelle Williams as Mary Wilson. Eshan Gopal, 12 years old from Kingsbury, London, Kwame Kandekore, 13 years old from Leicester and Bradley Morton, 11 years old from Oxford alternate the role of Young Michael Jackson. They are joined by swings and ensemble members Jay Bryce, Daniel Bailey, Edward Baruwa, Eddie Elliott, Christopher Fry, Alex Hammond, Edward Handoll, Simon Ray Harvey, Elias Hendricks, Brian James Leys, Jayde Nelson, Kieran McGinn, Simone Mistry Palmer, Carl Spencer and Marcel J Whyte. Tony nominated Motown the Musical received its world premiere in April 2013 in New York and recouped its $18 million investment by the end of 2014. The first US National Tour opened to critical acclaim in Spring 2014 in Chicago, grossing $20 million dollars during its standing room only sixteen-week run, and continues to play to packed houses across America. Motown the Musical will return to Broadway at the Nederlander Theatre for an 18 week run from July.